Top of the morning, loves! I hope you are having a great week. I kicked off mine by getting ready for the gardening season–planted more seeds, worked in the garden, preparing the soil, and planned a new layout for Mom’s garden, while also prepping for a serious DIY project. I will be refinishing an entire dining room set–a table and six chairs. Wish me luck on this endeavor, since it’s been about 20 years since I tackled a similar project. Sprout and I already went shopping to get all the supplies we need for sanding the chairs and the table, now I just have to find time to do the deed. With running a business, chasing a kid, gardening and house hunting, finding time for it should be no problem…right?! While I am excited that the weather is permitting many of my outside activities, it is still a bit chilly in the great state of Washington. The last few days have been so cold that all I’ve been wanting was a bowl of delicious, hot soup and curling up on a couch. While the latter is not an option, I have no problem meeting my taste buds’ desires. WE LOVE SOUPS! Today I want to share one of Hubby’s favorites with you. 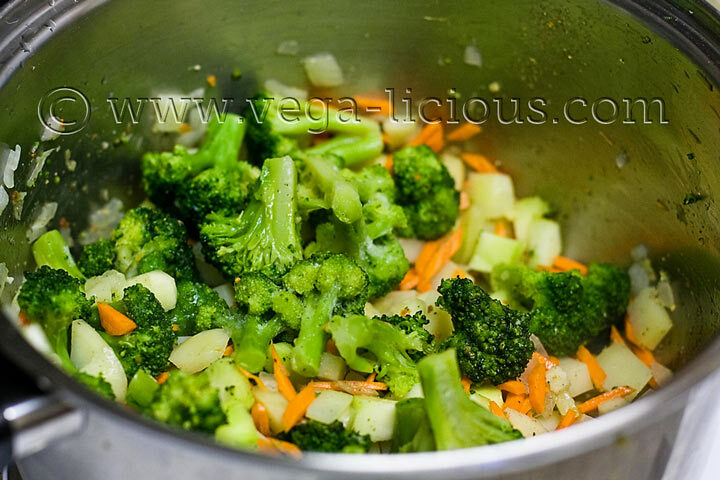 It has never been published on Vegalicious before, as it a part of the Soup-o-licious eBook. 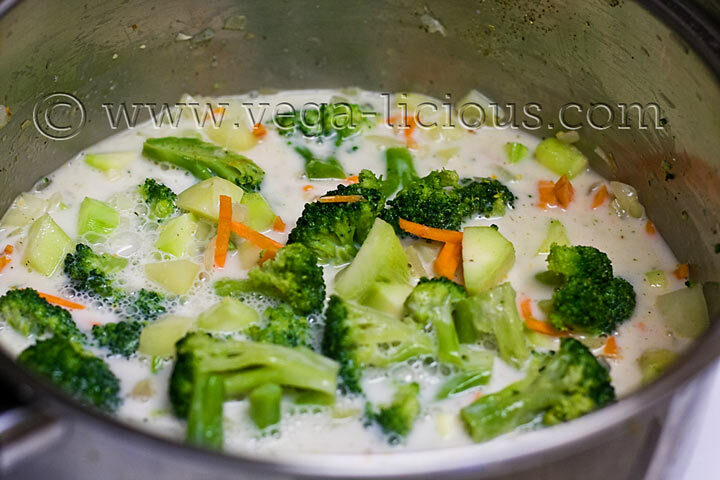 However, since today is absolutely the last day you can buy the eBook, filled with 27 mouthwatering soups, I decided to share this delicious vegan broccoli cheese soup recipe with you, because I know that you will love it. While it is not fat-free, it is amazing as an occasional treat, especially for those times when you miss the warmth and the creaminess of broccoli cheese soups of your bygone omnivorous days. Make it, enjoy it, share it with others, and do share the recipe around the web–let’s make this world a healthier and a kinder place one spoon licking bowl of soup at a time. Who said that vegans can't have fun? This Broccoli Cheese soup is a healthier version of its counterpart and will leave you wanting for more. 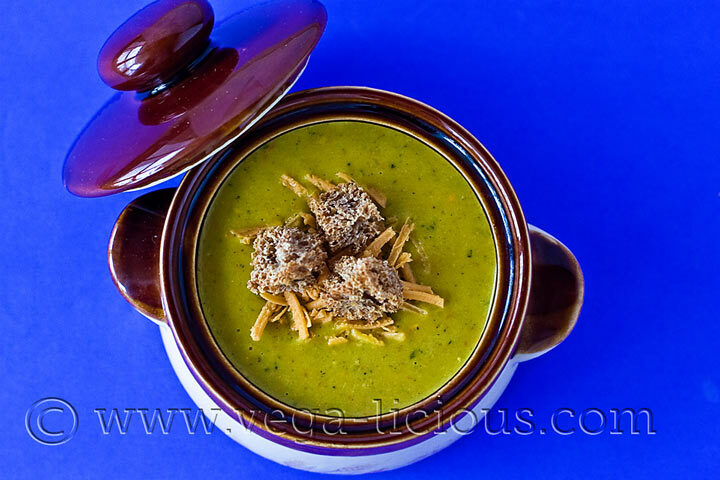 If you would like more delicious plant based soup recipes to lick your spoons over, make sure to get the Soup-0-licious eBook–it’s filled with 27 mouthwatering vegan soups to drool over.